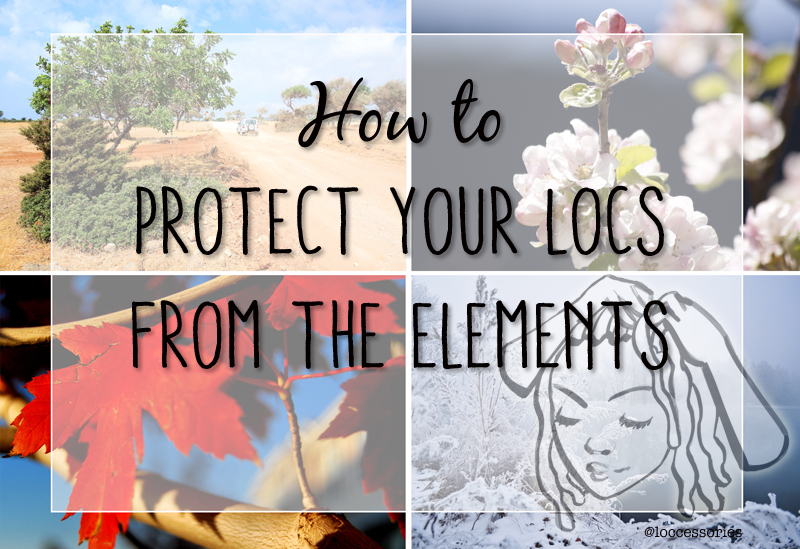 Within every season, there are environmental elements that can be harsh on your locs. I know a lot of people tend ot believe that locs are maintenance-free, but that’s not totally true (depending on the style you choose). Your dreads will need protection from excessive heat, cold, harsh winds, heavy rain, and snow. 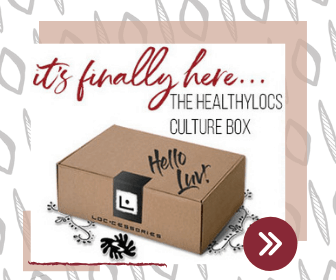 There are many hair practices you can roll into your daily regimen that will strengthen your hair and keep your locs healthy and strong for as long as you choose to wear them. The following are effective ways of protecting your dreadlocks all year round. A protective style is a style that helps you to retain length by protecting your hair and ends from damage. Braiding or twisting your locs, updos, and buns are considered protective styles than can be worn at any time. These styles can keep fragile ends tucked away, preventing them from excess budding, being dried out by the summer heat or exposed to cold temperatures during the winter. Protective styles also prevent excessive manipulation, giving your hair a rest. Well-cleaned and moisturized locs are more resistant to breakage and frayage. You can start by deep conditioning your hair. After deep conditioning, shampoo your hair and rinse thoroughly. You can dilute the shampoo a bit and focus on cleansing your scalp. Allow the soap to run down the length of your hair. Your dreads must be clean to be healthy and to lock well. A bi-weekly wash will be able to keep your hair lustrous and strong. If you like to take hot showers during the winter, the steam is very beneficial to your hair. You can put your hair up, and allow it to absorb the moisture from the humid environment. This will promote hair elasticity and strength. Steam also adds moisture without hydral fatigue, caused by wear and tears in the hair due to soaking and drying. After your hair is exposed to steam, you can use a cotton t-shirt to dab away any wetness in your locs. Hats are a great way to keep your head warm during the winter months, but the wrong hat can be harmful to your hair. Wool or cotton hats will dry out the hair, rub against your edges, and cause thinning. Wearing a hat with a silk lining is effective at protecting your hair from the friction and dryness causes by wool and cotton hats. Another option to protect your locs is to wear a silk cap underneath one of your hats. Your ends are the oldest part of your hair which makes them the most vulnerable to the elements. Coating your ends with oil after washing creates a barrier between your hair and the elements and locks in moisture. Oils such as almond oil, sesame oil, and grape seed oil are natural options that you can use to seal your ends and keep them supple. Regardless of the seasons, there are many things you can do year round to protect your hair. If you fail to take proper care of your locs, environmental conditions can cause them to be dull, dry, and brittle. 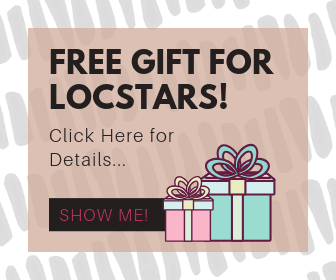 If you want to achieve strong, healthy hair, proper loc maintenance is critical. By utilizing these methods, you can continue to keep your locs at optimal health.